Terminology for iOS is sponsoring Macdrifter this week. I couldn't be more excited to have one of my favorite apps sponsor the site. 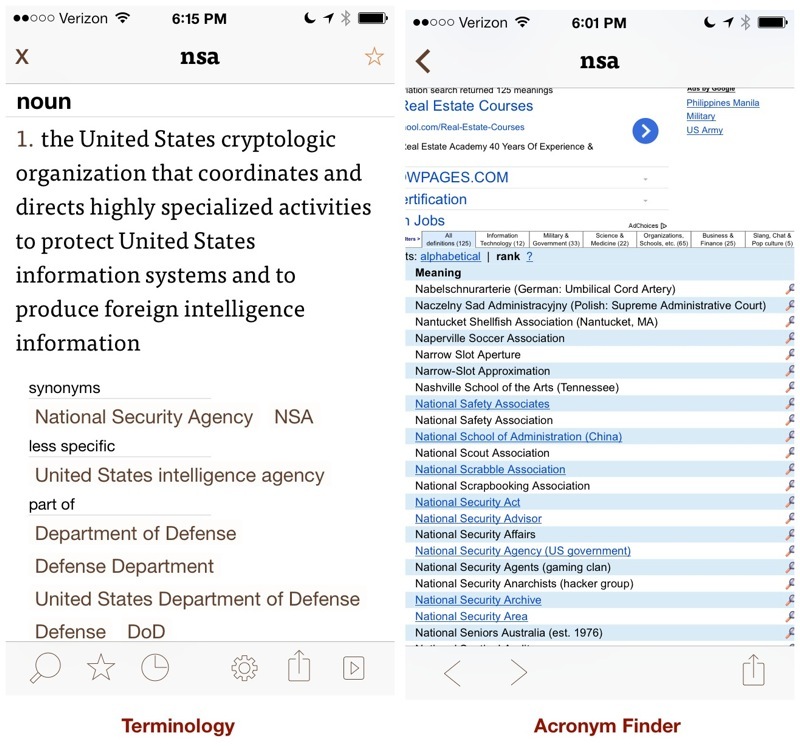 It's easy to think Terminology is just the best quick-entry dictionary tool for iOS. 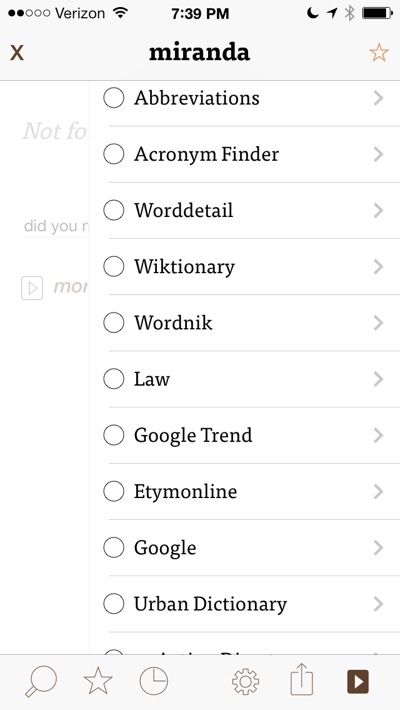 While it is an excellent dictionary app, Terminology is really a multi-tool for word nerds. This article is about a sponsor's product. This is not ad-copy, it's my opinion about something I think is terrific. Terminology lives on my iPhone's home screen. I use it regularly and can easily recommend it. Terminology supports user-defined lookups, which means it's only limited by your imagination. You configure actions using the URL schemes of your favorite web-based language tools. 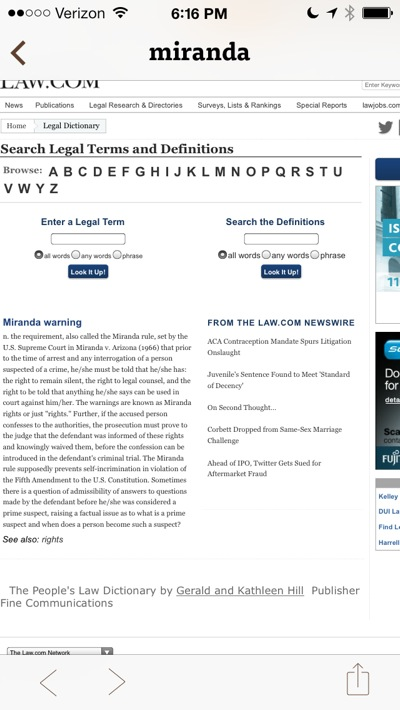 Now you can get the common definition from Terminology or use the custom action to browse other meanings of the acronym. Ah. There it is. A sudden spike in the usage of the term. That explains it. 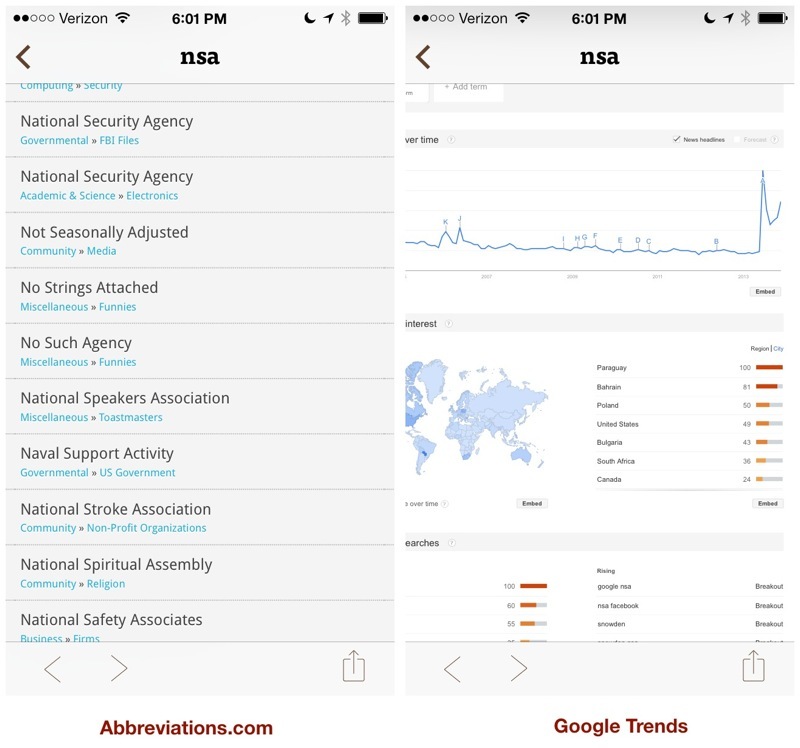 From one app, you can quickly enter a search term and just tap through and entire collection of reference sources. This is how I use it. I run down my list of favorite sources and grab a little bit more information from each along the way. Speaking of grabbing results, Terminology works great for copying the definitions you find too. 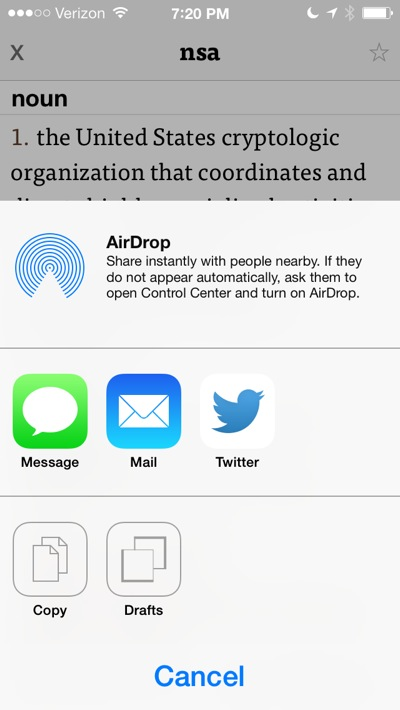 All of the in-app definitions can be exported as plain text with one action. This is how I research a new word. I work my way through my favorite sources until I find what I'm looking for. There's no need for multiple web searches or bouncing around the web. I just tap down my favorites. Terminology is available now from the App Store as a universal app. Grab it and start having some fun with words.